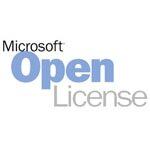 Microsoft's Core CAL is a new way for customers to conveniently manage Microsoft CALs (Client Access Licenses) for the basic server components across the enterprise. It replaces the BackOffice CAL in all Volume Licensing offerings, and serves to qualify Enterprise Agreement (EA) customers for the Platform discount just like the BackOffice CAL. The Core CAL offers a convenient way to license basic server components across all desktops within the firewall. In addition, it reduces the overall complexity in managing CALs for server software for IT professionals. The Core CAL includes CALs (Client Access Licenses) for Windows Server, Exchange Server, System Management Server, and SharePoint Portal Server. Whether through an EA or any other volume licensing agreement, customers buying the Core CAL will always buy Software Assurance attached. This way, clients will be appropriately licensed regardless of the software version deployed.